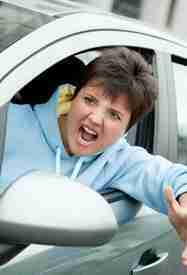 The causes of mood and anxiety misery are many, varied, and often mysterious. How well we know, right? Often, it’s an issue of that grand convergence of nature and nurture. However, it could well be one or the other. If, indeed, the foundation of, say, a depressive disorder is 100% “psychological” – purely nurture – could we go so far as to say the disorder would be “cured” if the psychological underpinnings were discovered and resolved? According to Sigmund Freud, regression is a defense mechanism that ushers-in a short or long-term reversion of the ego to an earlier stage of development. This, as opposed to handling unacceptable impulses in, shall we say, a more adult fashion. And, yes, this implies taking-on childish mannerisms while regressed. If we’re going to review ego-related material (with id and superego), we need to make sure we’re all on the same page. There’s a very simple explanation in this Chipur article on ego strength. By the way, as someone who’s endured mood and anxiety yuck for decades, I’m okay with that terminology. You? Freud believed neurosis is created when one escapes from an unsatisfactory immediate reality to an earlier stage of development. So regression, then, is time travel to days when satisfaction was infinite. Dang, wouldn’t that be nice. And the thing is, not only does the individual go back in time, s/he actually employs original and primitive methods of emotional and mental expression – of coping. That gives regression a double-whammy effect. How ’bout these gentle words from Carl Jung? …the patient’s regressive tendency…is not just a relapse into infantilism, but an attempt to get at something necessary…the universal feeling of childhood innocence, the sense of security, of protection, of reciprocated love, of trust. To paint the most accurate picture of regressive thought, feeling, and behavior, we’d have to know the stage of development at which the individual is fixated (“stuck”). Of course, presenting with one of the above doesn’t equate to being in a troubling regressed state. However, if multiple thoughts, feelings, or behaviors are an issue – or if a distinct pattern of even one is detected – regression needs to addressed. And please keep in mind, all of us regress in one form or another. It becomes problematic when it causes life-interruption. How Could Regression Be the Fix? 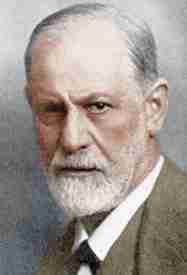 We’ve learned that Freud believed regression is a powerful neurosis-generating defense mechanism. We also learned that, by definition, the mood and anxiety disorders are neuroses. That being the case, when mood or anxiety symptoms are present and troubling, there’s a pretty good chance a regressed state is at hand. Manage the regression, manage the mood and anxiety symptoms. Freud goes on to submit that the neurosis is created when one escapes from an unsatisfactory immediate reality and makes a beeline for an earlier stage of development in which satisfaction was plentiful. Well, let’s say the stage at which the individual arrived was the Latency Stage, spanning from six-years-old to puberty. It would be reasonable, then, to suggest the individual is attempting to live an adult life with the emotional, even mental, maturity of a six to twelve-year-old. Would that reality generate a variety of mood and anxiety symptoms? I don’t see how it couldn’t. How does all of this sit with you? Are we connecting the same dots? I more than understand the need to treat symptoms of mood and anxiety disorders the best we can with, say, cognitive-behavioral therapy (CBT). However, in all too many cases it’s a band-aid approach that peters-out over time. That’s why I advocate exploring bottom-line cause, regression being a first-look candidate. I mean, think about it. If regression is, indeed, cranking out the mood and anxiety symptoms, wouldn’t it make sense the symptoms would subside as the regression is treated? And that’s why I believe understanding and managing regression could well be the fix for y/our mood and anxiety misery. Hey, be sure to check-out Part 2: Regression | Growing Ourselves Back Up (and dumping buckets of mood and anxiety misery). 678 Chipur titles are but a tap away.